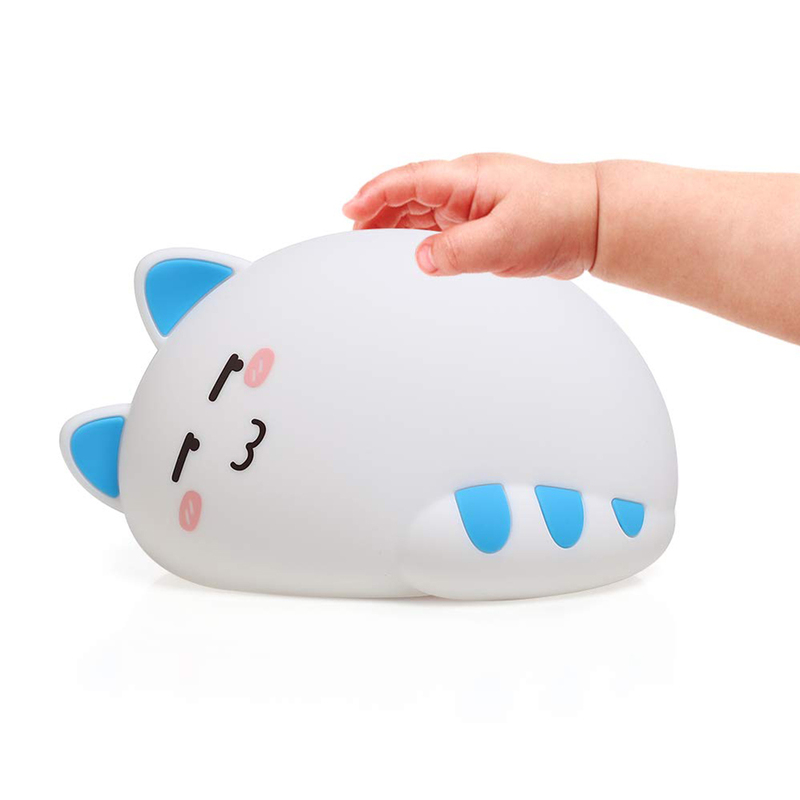 Made by BPA-free silicone, safe and soft for kids to touch. 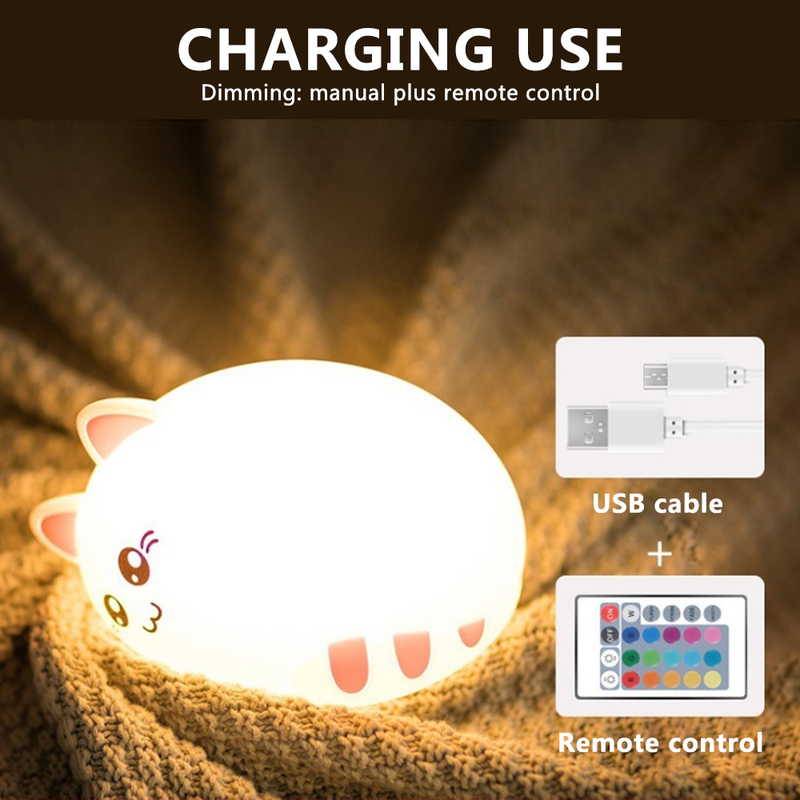 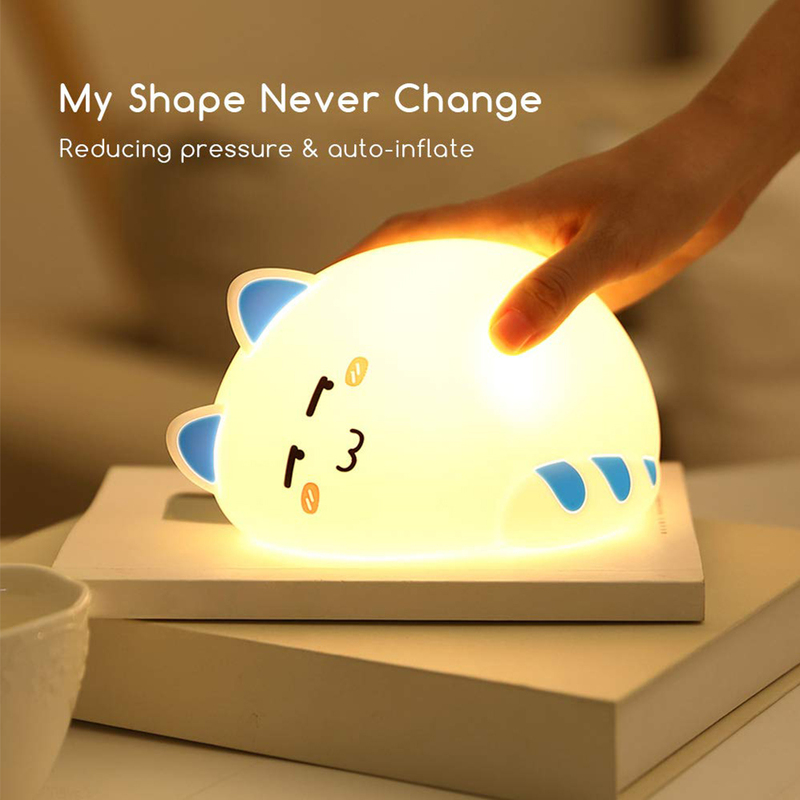 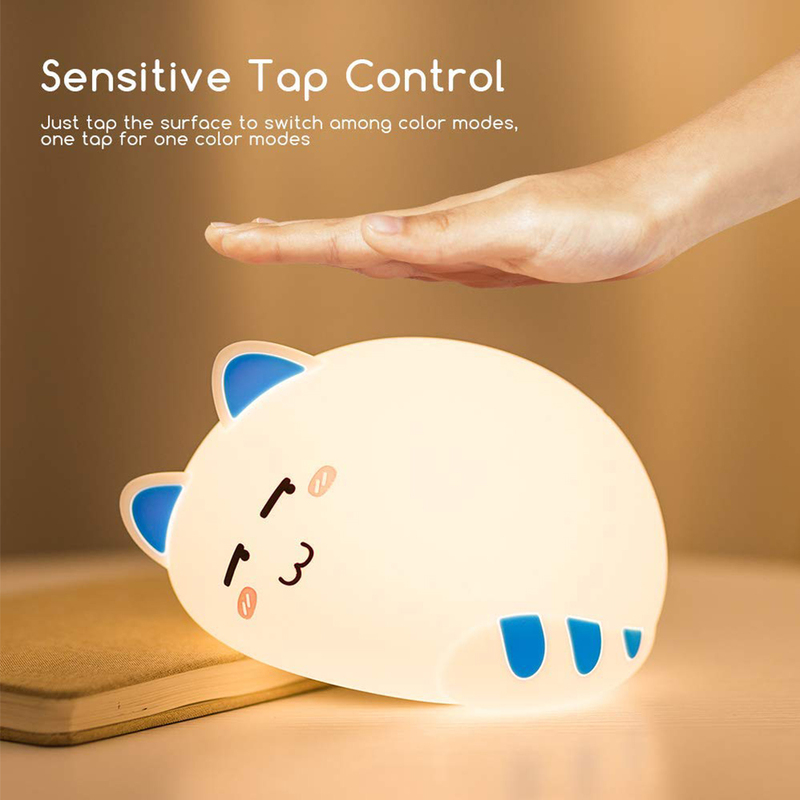 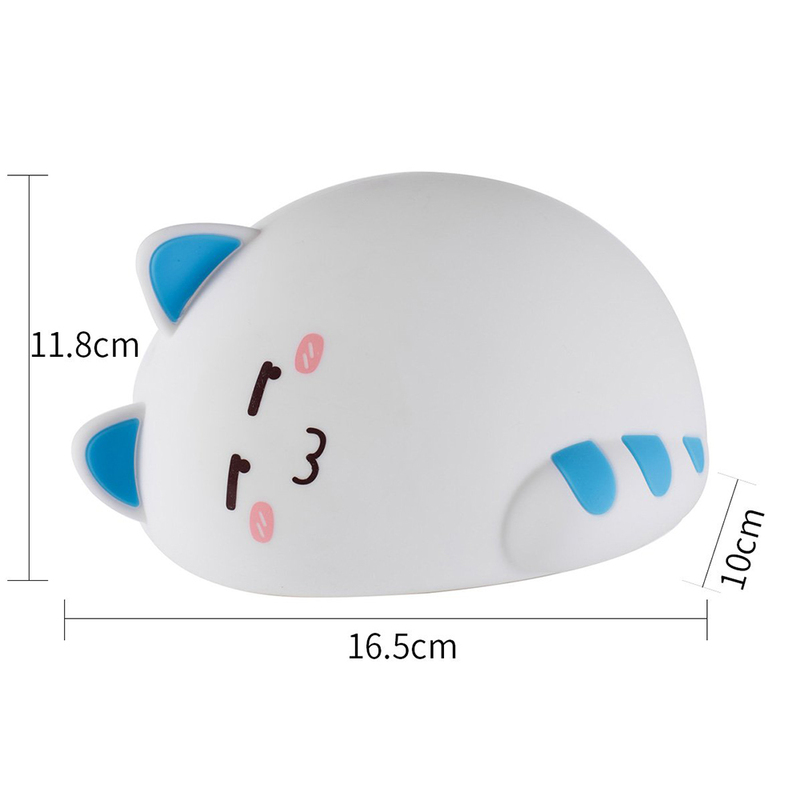 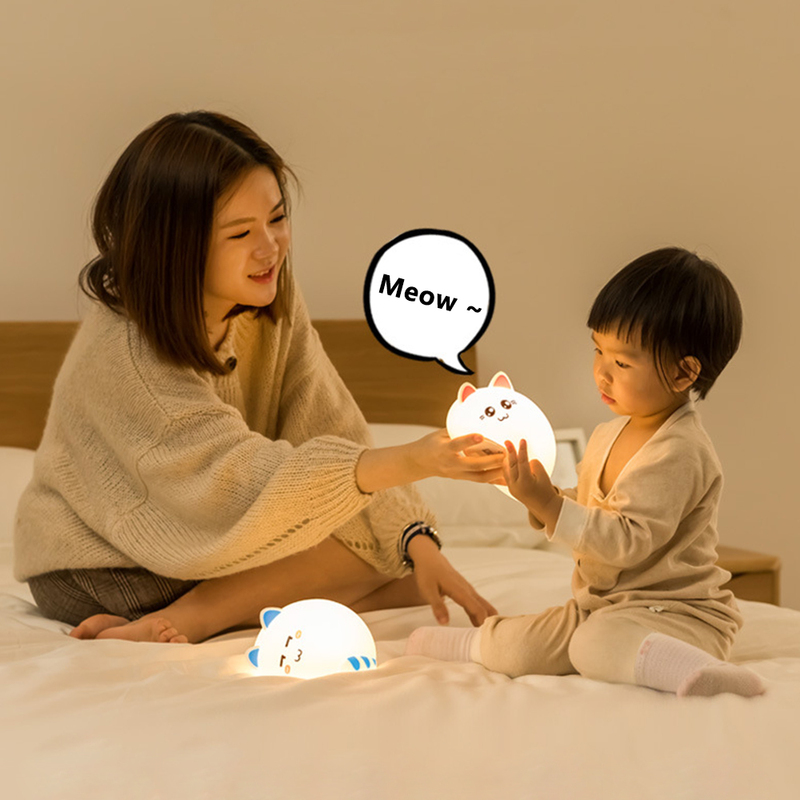 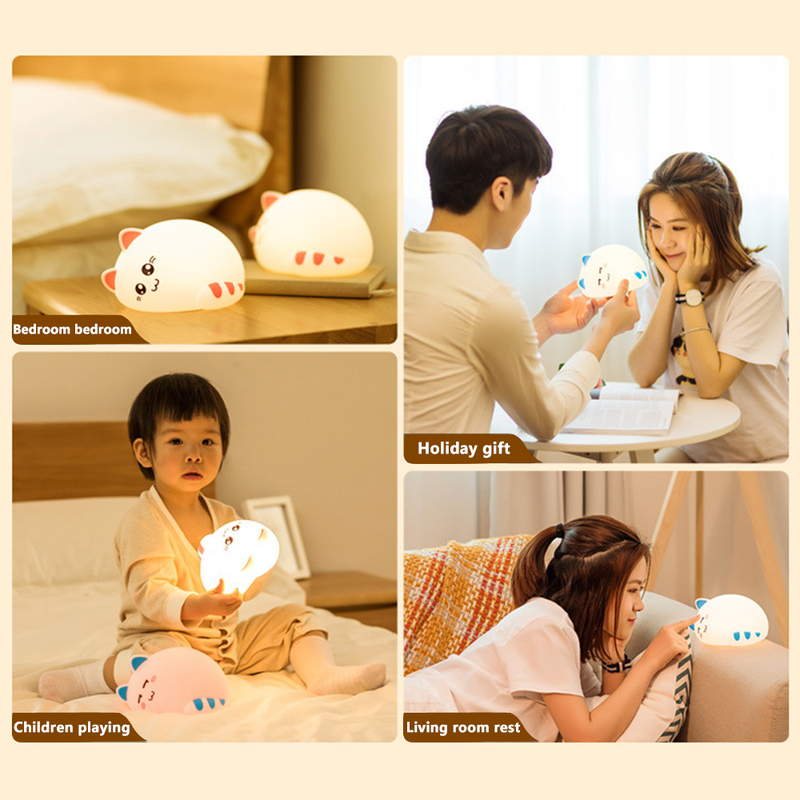 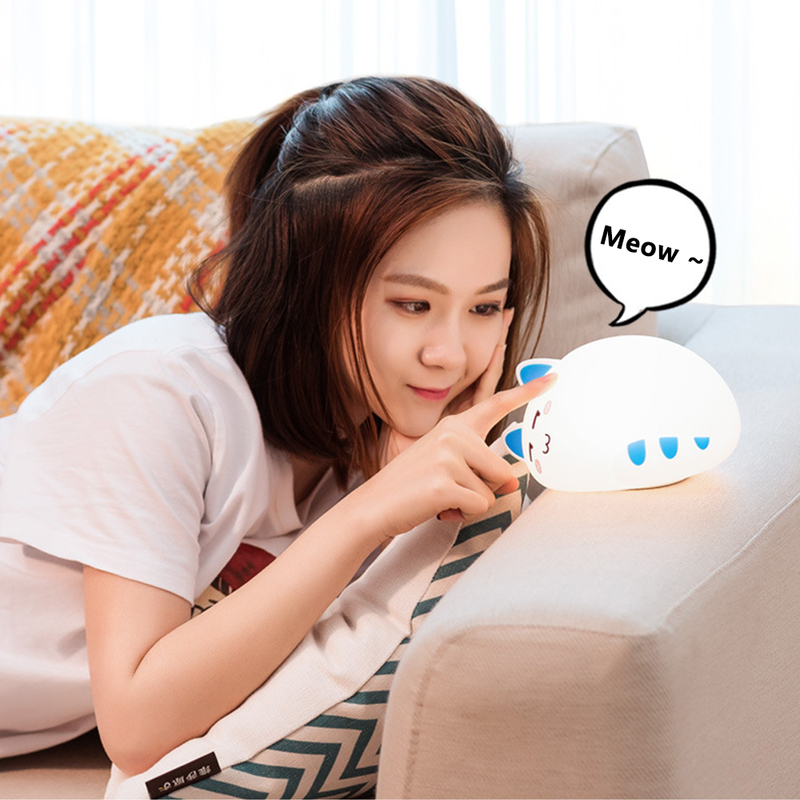 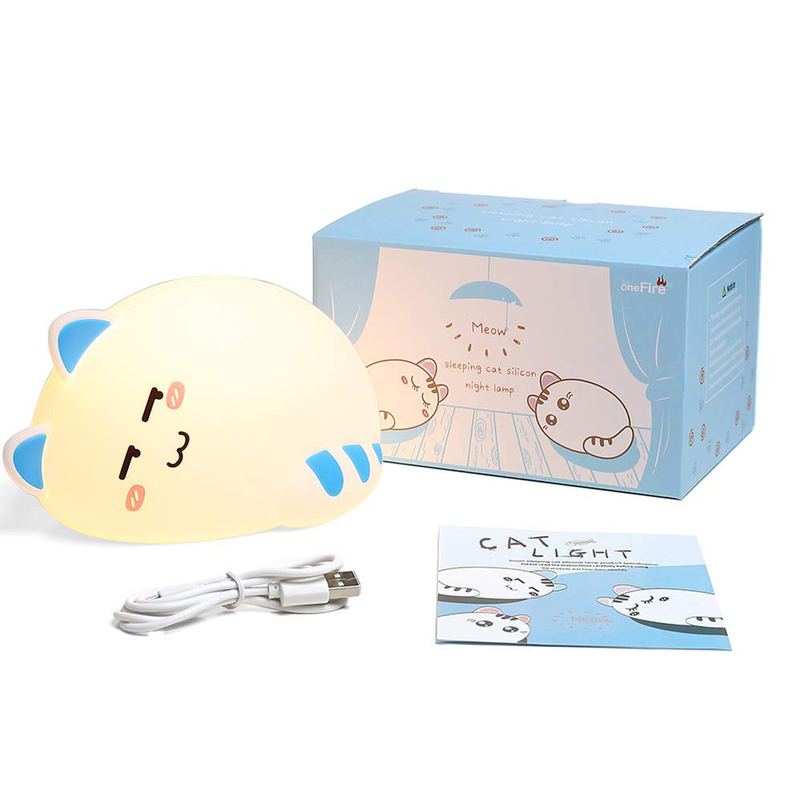 Adorable lay down cat appearance, a cute night light and could also be used for home decorations. 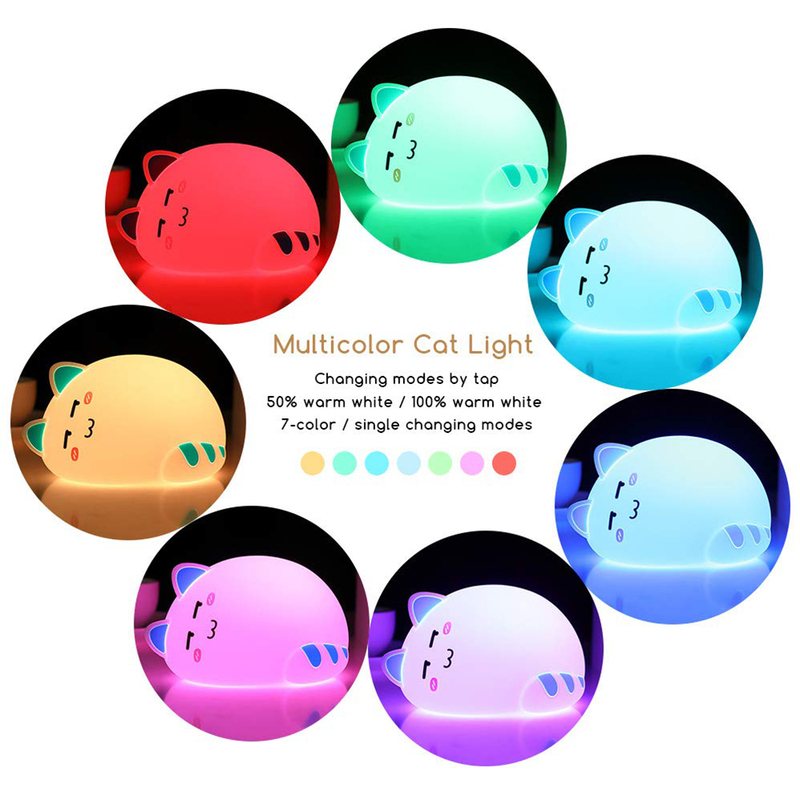 7 colors changeable, tap to switch colors as you like. 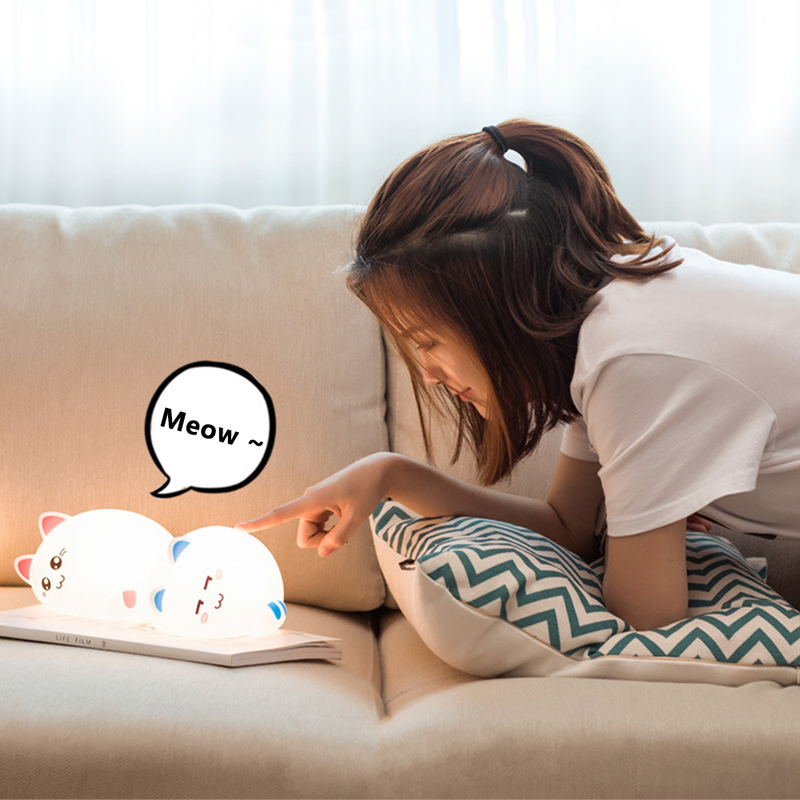 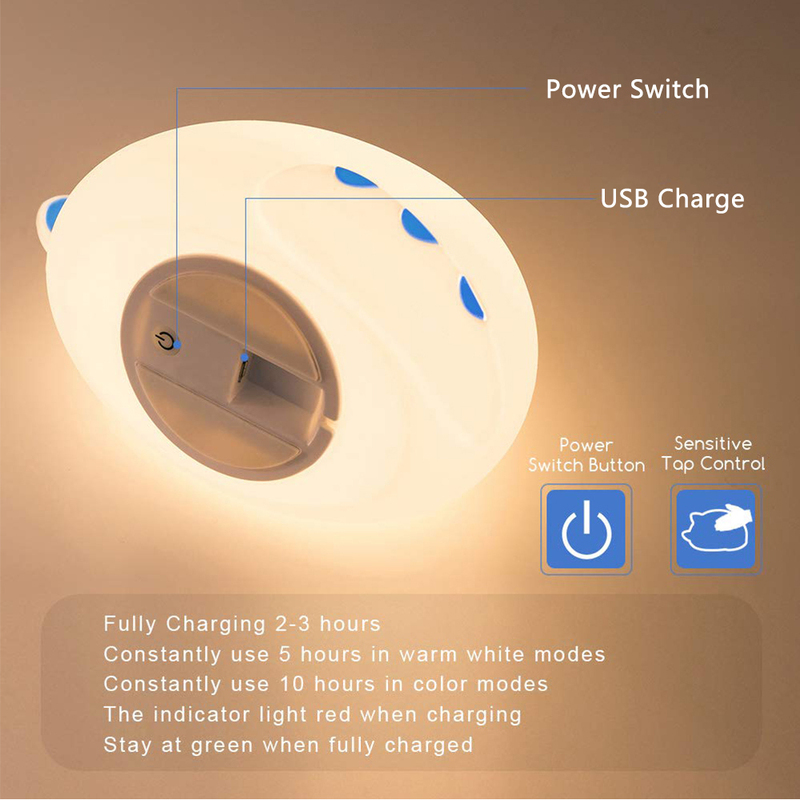 Built-in 1000mAh Li-ion battery supports up to 10 hours lighting. 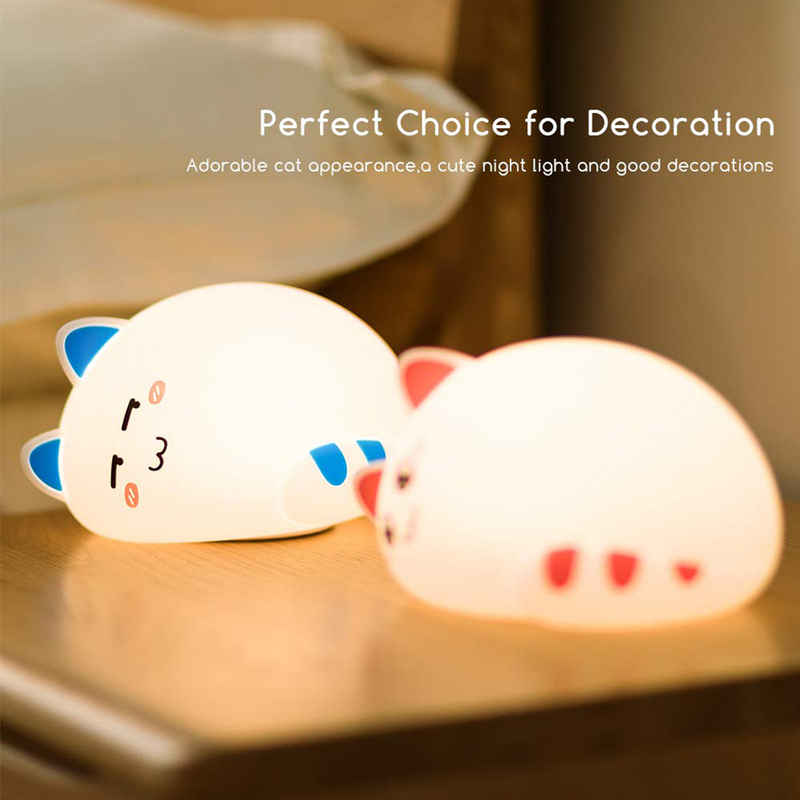 It will be a good decor for your bedroom, study or baby room, or a fabulous gift idea for kids, girls and ladies. 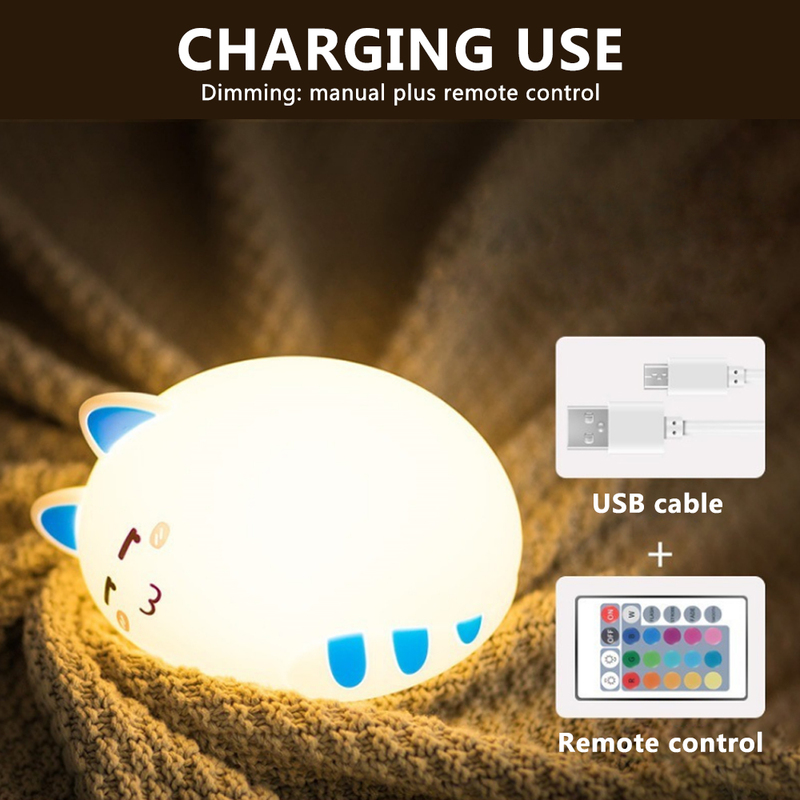 Please take out the insulation sheet from the remote controller for nomal use.